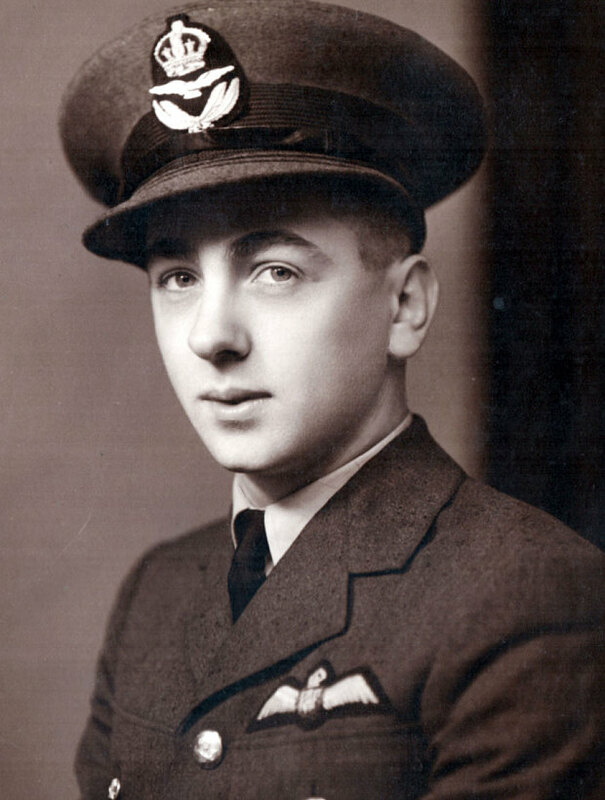 Young Eric Brown, aged 18, in the uniform of the University Air Unit at Edinburgh where he learned to fly. No one ever had to say ‘he’s gone for a Burton’, but how test pilot Eric ‘Winkle’ Brown survived 50 years of flying is remarkable. 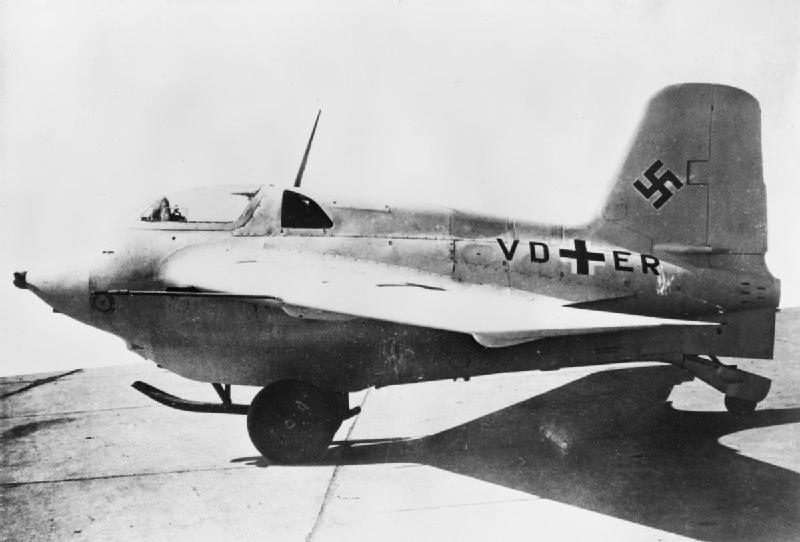 The only Allied pilot to fly the Komet, a Nazi rocket-powered death trap of an aircraft, he said it was ‘like being in charge of a runaway train’. Captain Brown, born in 1919 in Leith, Scotland, died last Sunday, 21 February, aged 97. Brown’s claim to unsought fame was that he flew 487 different types of aircraft and made 2,407 aircraft carrier landings, both world records that will never be repeated. He was the most decorated pilot in the Fleet Air Arm (FAA). The newspapers have been rightly generous in their praise of Captain Brown, the Telegraph and the Independent being just two. Here are the highlights of his spectacular flying career. Brown’s father, Robert, had served in the First World War as a balloon observer and pilot in the Royal Flying Corps (RFC). Brown said that he first flew in a bi-plane at the age of eight whilst sitting in his father’s lap. While still at school in Edinburgh, Brown accompanied his father to the 1936 Berlin Olympics. His father’s RFC background led to them to meeting the boastful Hermann Göring, the chief of the newly-formed Luftwaffe (the Nazi air force), and Ernst Udet, a senior Luftwaffe officer, both First World War aces. Udet took the young Brown for a flight and declared that Brown had the temperament of a fighter pilot and that he must learn to fly. At the time of the outbreak of war in 1939, Brown, a fluent German speaker, was an exchange teacher in Munich. He was arrested by the SS and briefly imprisoned, but was escorted in his MG sports car to the Swiss border. Back in Britain, he applied to join the RAF bu concluded that ‘there was no rush for my services’. So instead Brown enlisted in the FAA, the branch of the Royal Navy that operates naval aircraft. 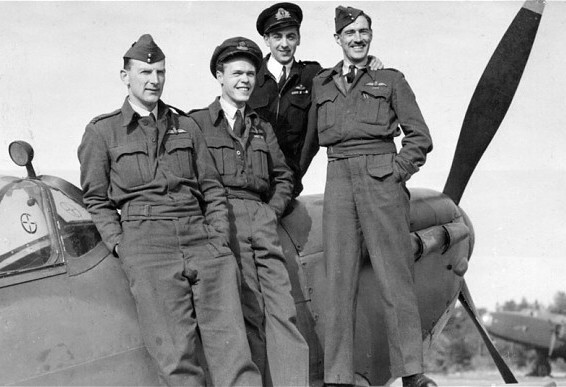 Brown (dark uniform) with fellow test pilots in the 1940s. After training, his combat flying began in 1941 as a fighter pilot flying off HMS Audacity, the world’s first auxiliary carrier (a captured and then converted German banana boat) protecting Clydeside-Gibraltar convoys. There were no below-deck hangers so the six aircraft had to stay on the deck. Brown received his first decoration, the DSC, for his bravery and skill in defending a convoy during a heavy and sustained air attack by enemy aircraft. On 21 December 1941 the Audacity was torpedoed by a U-boat whilst escorting convoy OG76. Brown was one of the only two aircrew who survived. In 1942, he was posted to the Royal Aircraft Establishment (RAE) at Farnborough where he became chief naval test pilot in 1944, flying up to seven allied aircraft a day, including the Soviet MiG-15. One test was for Brown to dive a propeller-engined Spitfire at a staggering Mach reading of 0.86 (more than 600mph). Brown performed the first landing on a carrier of a twin-engined aircraft, a Sea Mosquito, on HMS Indefatigable in March 1944, and the world’s first landing of a jet aircraft, a de Havilland Sea Vampire, on the HMS Ocean in December 1945. A Messerschmitt ME163 Komet of the type flown by Brown. The first test flight of the ME163 was in July 1944. It had a phenomenal rate of climb and speed. With only a few minutes flight duration, and with highly inflammable propellants, it was a very dangerous plane to fly. Brown wrote of his flight ‘there was so much to get wrong and virtually no escape route’. Ten days after the German surrender in May 1945, Brown was at an airfield in Schleswig-Holstein in north-west Germany testing the ‘Komet’, the rocket-powered fighter Messerschmitt 163, the only rocket aircraft ever to have been operational. The Nazis had begun deploying the plane during the last year of the war. Brown was completely fascinated by the tiny and lethally dangerous plane. Only RAE pilots were exempt from flying the planes, but only for a time, and Brown took his chance, despite the reservations of the German ground crew. Once the fuel in the plane had been used up, Brown glided the plane back to the airfield. In April 1945, Brown, on account of his fluent German, was asked to help with translation at the Bergen-Belsen concentration camp during the Allied interrogations of Josef Kramer and Irma Grese, the commandant of the camp and his assistant. Brown later wrote ‘Two more loathsome creatures it is hard to imagine’, adding that Grese was ‘the worst human being I have ever met’. Brown also interviewed many Germans including Hermann Göring, Wernher von Braun, the rocket scientist, Willy Messerschmitt and Ernst Heinkel, the aircraft designers. But the interviews were brief, his part was limited to aviation matters, due to the need to begin the Nuremburg Trials. He was present at the interrogation of Heinrich Himmler, head of the entire Nazi police force including the Gestapo, who, under forged papers, had called himself Henrich Hitzinger. Earlier, in August 1944, Brown had been asked to trial the experimental British Miles M52 jet. But as the plane neared readiness in the spring of 1945, the British government instructed the Miles company to hand over the plans of the M52 to a visiting US delegation. A reciprocal visit to the US to exchange research on the plane however was cancelled by the US, and in February 1946, the UK Ministry of Supply cancelled the M52 when it was 82% completed. Brown wrote ‘No satisfactory reason for the decision was ever given. Certainly the Americans were the beneficiaries’. As a result of the information received from the British, the American modified the experimental Bell X-1 aircraft in which, on 14 October 1947, Chuck Yeager of the US Army Air Force became the first man to break the sound barrier, reaching Mach 1.07. On 10 October 1948, over the Scilly Isles, a pilotless, scaled-down M52 achieved Mach 1.52. ‘A fantastic opportunity had been missed’ wrote Brown in his 1961 autobiography Wings on My Sleeve, a book that Brown said he had been asked to write to encourage recruitment for the Fleet Air Arm. Had the M52 project not be abandoned by Britain, it could have made Brown world-famous. In the early 50s during the Korean War, Brown was lent as a test pilot to the US Navy’s air test centre in Maryland, where he introduced the US Navy to a new steam catapult and the new British concept of the angled flight deck. During the remainder of that decade he passed Mach 1 (the speed of sound) in American Sabre and British Hunter jets. In the 60s, he flew Chinook helicopters, Buccaneer nuclear bombers, and Mach 2 Lightning and Phantom fighters. Brown last flew in 1994. Giving flying up was like ‘drug withdrawal’, he said. Brown continued as an aviation author into his 90s, and was still much sought-after as a lecturer on cruise liners. His nine books also include Duels in the Sky (1989), Testing for Combat (1994), and Wings of the Luftwaffe (2002). Wings on My Sleeve was revised and re-published in 2006. In November 2014 he was the guest for the 3,000th edition of BBC Radio 4’s Desert Island Discs. During the programme he revealed that, at the age of 95, he still enjoyed driving and had just bought himself a new sports car. Brown was nicknamed ‘Winkle’ (short for periwinkle, a small mollusc) as he was 5′ 7″, relatively short for a pilot. Brown said his short stature helped save his life when in 1949 he was flying the De Havilland 108, which he called ‘a killer’. This was the plane in which the test pilot Geoffrey de Havilland had died three years earlier when, at Mach 0.88, the plane slipped out of control. Propelled upwards, De Havilland had broken his neck on the canopy. ‘He was a big man. I was short’ wrote the Brown bluntly. 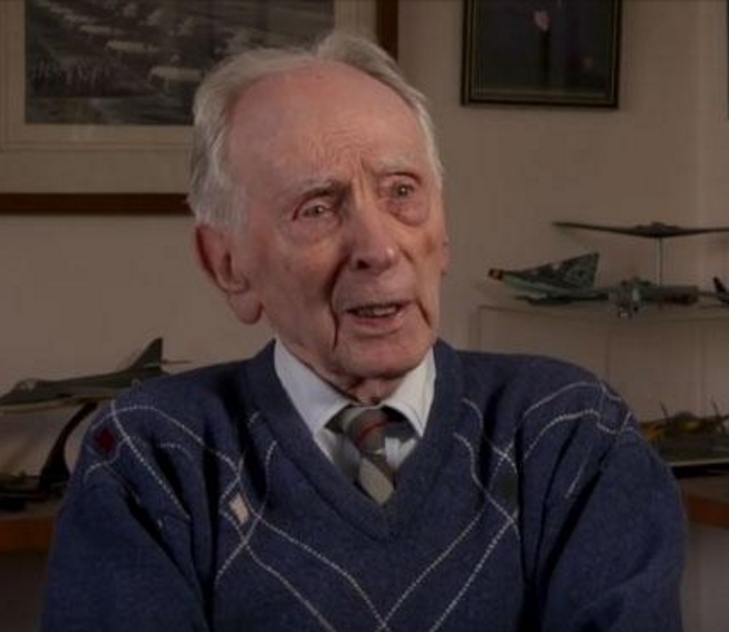 The BBC made a film about Eric ‘Winkle’ Brown in 2014 which you can watch here. There is a lot more information about his many other flying exploits on Wikipedia. He was the archetypal test pilot. He never achieved the celebrity status afforded to some of his friends and contemporaries in the 1940s and 50s. Perhaps because in the whole of his aviation career, he suffered, and survived, ‘only’ 15 crashes. What an amazing man; a true giant of aviation and courage both, despite the 5’7″.